Today I want to share you 5 free premade logo designs for your website. When you start a website, you´ve likely to be running low on cash and wouldn’t be wise to spend your savings on purchasing a custom logo so I want you help you with this crucial step. I believe in this case, the best thing is use pre-made logos tend to be simplier and cheaper since they’re not customized. Well no, they’re not unique. But, being honest, unless your audience are graphic designers anyone will notice your logo is premade. A logo works much like your name. Your logo is the face of your brand. As you build brand awareness with logo-accompanied experiences, readers will begin to make valuable associations between your logo and your brand. I love simple logo design , it does not equate to a simplistic business model or brand message; to the contrary, it indicates a keen awareness of a logo’s purpose and your ideal clients’ needs. A logo that is complicated in design can make it difficult for people to create those associations. Everything can be customized with your own text, colors, textures and can even change the font if needed. Just a basic knowledge of Photoshop or Illustrator is more than enough to edit any logo. Check out for more free designs HERE – I hope you have a great time customizing these logo templates! Hi, I have the ingrid theme with the solid light pink banners that stated blog, portfolio and shop. I was wondering how to replace them with these new ones. Thank you. If I have a predefined template like this – https://themesgenerator.com/themes-preview/summer/ -, would I have to follow the same process? For pre-sale questions check the FAQS or contact me. Hilary eCommerce and Portfolio Genesis Child Theme. Setup & help docs how to install the template and use it. Demo content files for import widgets and content. 3 promo boxes, Image profile frame, “Pin it button” in .psd and .png format (editable Photoshop). Buy this theme via Paypal. As soon as your payment is cleared, you´ll recieve an email with package. Unzip the package to access Genesis Framework, Genesis Child theme, link with instructions and extra images. Follow step-by-step link directions that are included in your packgage. This product is only for customers who purchase one of our premade blog wordpress in this shop. Would you like me to install your wordpress theme for you in 24hours such DEMO? Not a problem! Setup your existing logo and/or favicon. Due to the nature of digital products (intangible digital goods), I DO NO accept returns, refunds or exchanges. Are you looking for a portfolio and eCommerce feminine WordPress Theme for your creative project? Hilary is a highly flexible, visually stimulating and sophisticated feminine WordPress theme perfect for photographers, creative entrepreneurs and women in business. Filterable portfolio and gallery to display your work (images, videos,..) in 2, 3 or 4 columns. MailChimp, Awber, ConvertKit,.. newsletter plugin compatible. Display your category posts in grid layout (3, 4 or 6 columns). Bottom widget for your Instagram Feed. Change colors and more than 300 Google fonts to make the theme match your brand. Live theme customizer – see your changes before going live. Front Page with flexible widget areas. 3 parallax image backgrounds to upload. Upload your own logo and favicon. 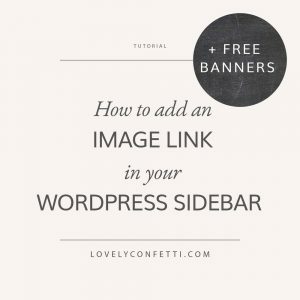 Organize your blog page with multiple layout options; 2 o 3 rows, pots scerpt + featured image or full posts. 3 Promo editable Boxes included .psd and .png format (Portfolio, Shop and Blog). Sticky Navigation on scroll, preloader and “back to top” button. Multiple blog posts layout: 2 o 3 rows, pots scerpt + featured image or full posts. Preloader, make your visitor watch the animation before the site loads. Build on the powerful Genesis Framework. 100% responsive design (view the demo). 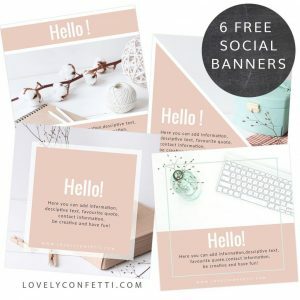 Don’t ever miss any of my freebies! Leave me your e-mail address and be the first to know when something new appears on my site.